It’s not Keystone this new Italian is pitting itself up against, it’s No Menu. 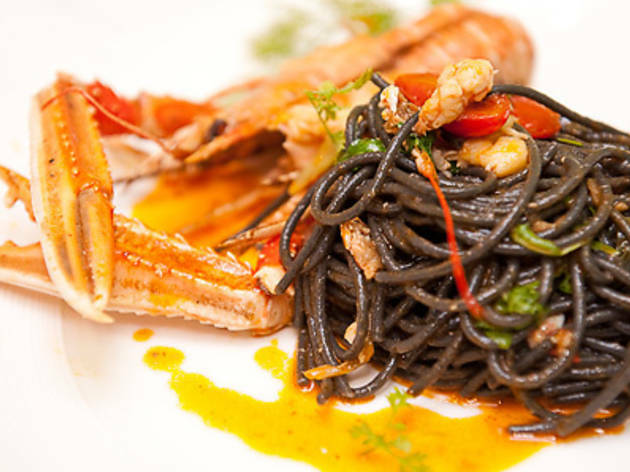 Puglian chef Marco Violano (formerly ofThe Regent Hotel and Basilico) helms this semi-fine-dine 40-seater which serves ‘Mama-style’ Southern Mediterranean flavours. Expect plenty of grilled seafood, and comforting dishes like the raviolacci farciti ai frutti di mare con bottarga di muggine (150g ravioli filled with grilled seafood and mullet roe, $28), and cod in a clam, capers and cherry tomato sauce ($32). The black-and-white photos of Italy, white walls and brown tiles and selection of Italian-only wines is in line with the simple, homey feel. 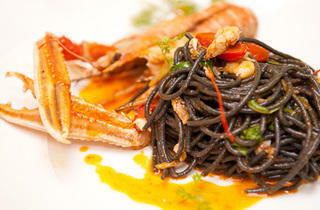 As for PepeNero (‘black pepper’), the name stems from a joke the chef and his friends share – you’ll have to ask him.